Weeda soa paintjob_fix for RJL scania topline 1.5.2. Fix in paintjob for inner sunshield, and now metallic lack. 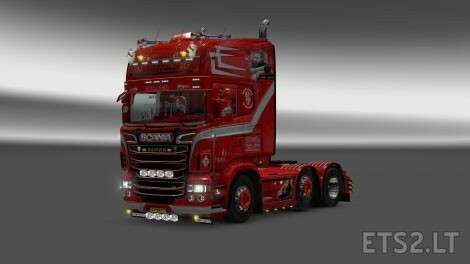 4 Responses to Weeda soa paintjob_fix for RJL scania topline 1.5.2. En deze mod moet meer prio hebben dan de truck mod? Ja, alles wat je extra hebt aan tuning moet boven je truck mod staan. look here, skin made by Catalin. Sons of anarchy from weeda is a topline scania.